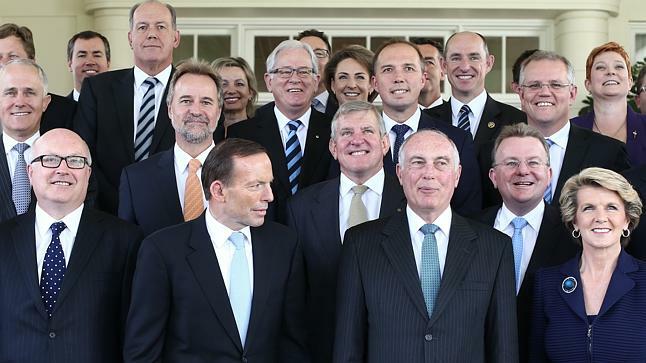 Australia’s Cabinet with Prime Minister Tony Abbott, centre front, and Communications Minister Malcolm Turnbull second row far left. Less than three years after launching the Virtual Australia and New Zealand (VANZ) vision for geodata modelling of both nations’ environments, Australia’s Government is backing away from the concept. Claimed to be the world’s first ‘Virtual Nations’ project, VANZ logically is the antipodean subset of the Global Earth Observation System of Systems (GEOSS, aka Digital Earth) movement to harness online data to monitor, model and manage the world’s resources. —A new ‘Reform of the Federation’ thrust, intended to force state governments to fully deliver major services and infrastructures that currently are supervised in Canberra (controlling annual state allocations of GST revenues). 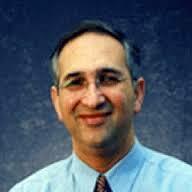 Professor Abbas Rajabifard, Dean of Melbourne University’s Infrastructure Engineering Department. Since the Virtual Australia vision was first published by Professor Abbas Rajabifard and colleagues at the University of Melbourne in 2005, it has won cross-sector acceptance, but no soiid support from relevant government agencies. VANZ was a key theme of three annual spatial@gov conferences launched in 2010 by the former Office of Spatial Data Management (OSDM) at Geoscience Australia. But there is no mention of Virtual Australia in the last 2011 ‘Country Report‘ submitted by Geoscience Australia to the United Nations’ Initiative on Global Geospatial Information Management (UN-GGIM) – which is co-ordinating UN member governments to develop a global spatial data infrastructure (GSDI) underpinning the Global Earth Observation System of Systems. Now OSDM’s successor group, the Office of Spatial Policy (OSP), is dispersing its ‘national geospatial leadership role’, including co-ordination of ANZ government land information agencies, within Minister Malcolm Turnbull’s Department of Communications. 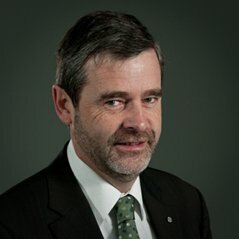 Drew Clarke, Secretary of Australia’s Department of Communications. The OSP, led by Drew Clarke and Helen Owens, moved to Communications from the former Labor Government’s Department of Industry, Information, Science and Research (which contained Geoscience Australia). At Communications, Clarke is the department’s Secretary and Owens is a new Deputy Director. Other OSP and departmental staff are subject to a ‘spill and fill’ job reductions program. Last year, under Clarke and Owens’ leadership, the OSP replaced its November spatial@gov annual conferences – which promoted VANZ from 2010-2012 as the shared umbrella vision for the trans-Tasman geospatial solutions movement – with a new conference, Locate. The first Locate ’14 in Canberra in April 2014 usurped the May calendar slot that was filled in 2013 (after the last spatial@gov conference) by the first of a series of dedicated Virtual Australia and New Zealand conferences. These were promoted by VANZI Ltd, a Melbourne ‘brokering’ company based at the Co-operative Research Centre for Spatial Information (CRC-SI). Led by former transport logistics expert Michael Haines, VANZI Ltd was understood to be supported initially by the OSP, CSIRO and NICTA. Haines has defined VANZI as meaning the ‘Virtual Australia and New Zealand Initiative’. His company currently has active partnerships with the ABC Events conference producers in Sydney, the buildingSMART Australasia (building models software regulations) group, and the Spatial Industries Business Association (SIBA), which has begun promoting VANZI as a SIBA online ‘knowledge community’. Since VANZI linked with the buildingSMART group, it has reduced the scope of its original mission to now focus specifically on buildingSMART’s existing realm of ‘brokering the Framework for the Digital Built Environment’. Partners and sponsors of the Locate ’14 conference – including SIBA, the Surveying and Spatial Sciences Institute (SSSI) and the CRC-SI – were told by OSP staff not to lend their logos to endorse VANZI’s second conference – which now is called VANZI-buildingSMART and has been pushed back from May to June to 15-16 September 2014. The OSP did not invite Haines to speak at Locate ’14, and VANZI’s chairman, CRC-SI CEO Dr Peter Woodgate, did not use his role as the Locate master of ceremonies to promote VANZI. The second Locate conference is scheduled to be held in Brisbane 10-12 March 2015. Aligned with it is Research@Locate, a small conference of academic members of the Australasian Spatial Information Education and Research Association (ASIERA). Although ASIERA is headquartered at the University of Melbourne Infrastructure Engineering Department whose leaders, Professors Abbas Rajabifard (current Dean) and Ian Williamson (retired), originally proposed the Virtual Australia vision, this project is not mentioned in ASIERA’s Research@Locate ’14 proceedings. Would a new ‘Country Report’ from Australia to the United Nations’ Initiative for Global Geospatial Information Management contain any reference to a ‘Virtual Australia’? 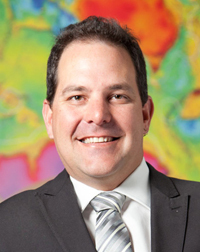 Stuart Minchin, chief of environmental geosciences at Geoscience Australia. ‘No’, replied Dr Stuart Minchin, chief of environmental sciences at Geosciences Australia. He represents Australia’s geospatial policies at both the UN-GGIM in New York and the Geneva-based Group on Earth Observations; where he just finished co-facilitating a workshop on implementing the next 10 years of GEOSS. Minchin said that various Australian Government agencies are achieving diverse advances towards the Virtual ANZ concept, but there is no cross-departmental agreement to lead or control the whole vision. Nor would government agencies be controlled by external promoters of the concept – although ‘sometimes they can be influential’.